•Contributions to the Republican Party of Texas are not deductible as charitable contributions for income tax purposes. •Funds received in response to this solicitation will be subject to State contribution limits. •Contributions from foreign nationals are prohibited by law. •The funds I am contributing are my own personal funds and not those of another person. •My contribution is not from the general treasury funds of a corporation, labor organization or national bank. •I affirm that I am making this contribution via my personal credit or debit card for which I have a legal obligation to pay, and not through a corporate or business credit or debit card. 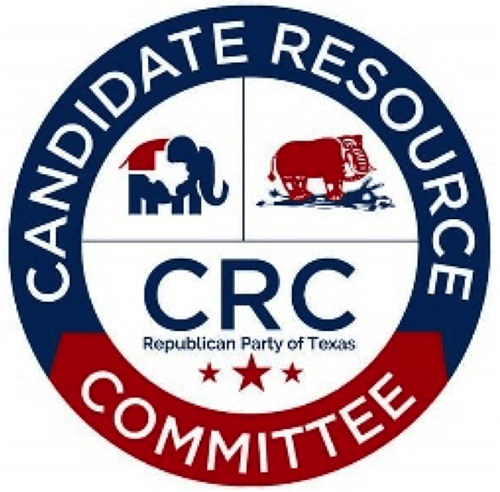 •Your contribution to the Republican Party of Texas will be deposited into the Party's CRC State account unless otherwise designated or prohibited by law. •State law requires us to use our best efforts to collect and report the name, address, occupation and name of employer of individuals whose aggregate contributions exceed $50 per election.